Animal Wildlife | Cottontop Tamarin | The cottontop tamarin is found in tropical forest edges and secondary forests from Costa Rica to north western Columbia where the cottontop tamarin spends the majority of it's life in the trees. The Cottontop tamarin is a small species of monkey found in the forests of South America. 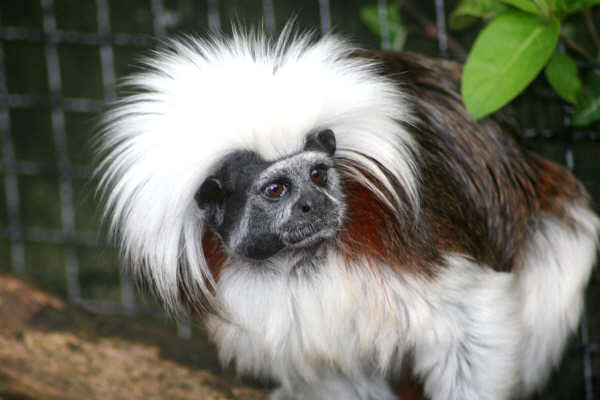 The Cottontop tamarin was named because of it's elegant white fur that flows over it's head and shoulders. 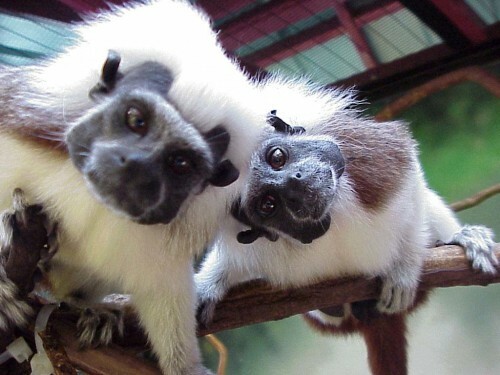 Cottontop tamarins are among the smallest of the primates with a body length of 17 cm and tail length of 25 cm. 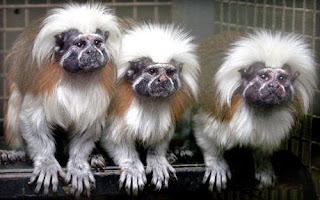 The forelimbs of the cottontop tamarin are shorter than the hind limbs, and unlike other monkeys the thumb of the cottontop tamarin is not opposable and it does not have a prehensile tail. The cottontop tamarin is a diurnal primate which means that the cottontop tamarin is most active during the day and rests in the safety of the tree tops during the night. 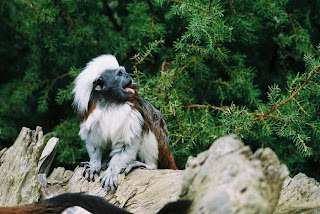 cottontop tamarins are very sociable animals and inhabit their territory with their rest of the cottontop tamarin troop which generally have between 2 and 14 members. 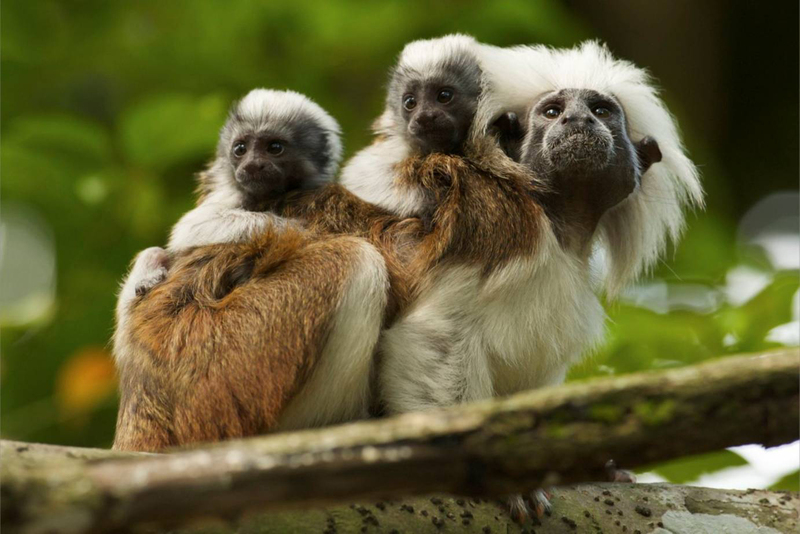 Cottontop tamarin troops are led by the eldest female and have predominantly male members. The cottontop tamarin is an omnivorous animal meaning that the cottontop tamarin hunts both plants and other animals in order to survive. Fruits, insects and green plants make up the majority of the cottontop tamarin's diet along with small rodents and reptiles, eggs and tree sap. Due to the relatively small size of the cottontop tamarin, it has a number of predators within it's natural environment. Wild cats, dogs, snakes and birds of prey are primary predators of the cottontop tamarin, along with humans who are destroying their natural habitat. 0 Response to "Cottontop Tamarin"